The neighborhood of Bluffview is loosely defined as the area bounded by Northwest Highway on the north, Inwood Road on the east, Midway Road on the west and Lovers Lane on the south. 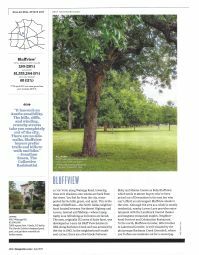 Distinguished by a 60 foot cliff of Austin chalk rising above Bachman Creek, many Dallas residents think of Bluffview as the “Hill Country” of Dallas. Click here for more information. The Briarwood neighborhood is the area north of Lover’s Lane, West of Inwood Road and bounded on both the west and north by Elsby. Developed primarily in the 1940’s for returning World War II veterans on what used to be pasture land from a Dairy farm. These cottages and small houses have rapidly become extremely sought after. Most streets in Briarwood were comprised of wood, brick, and stone cottages framed by seventy year old trees – many with front porches. 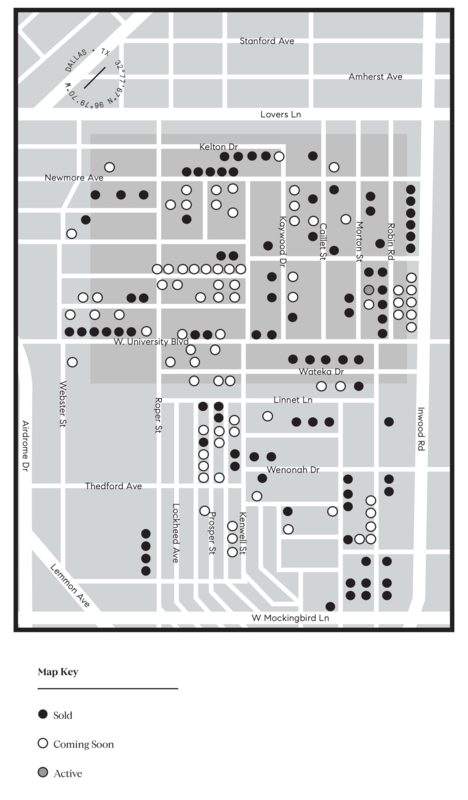 The Inwood Park neighborhood is the area south of Lovers Lane, West of Inwood, and bounded by Mockingbird to the south and Lemmon on the west. 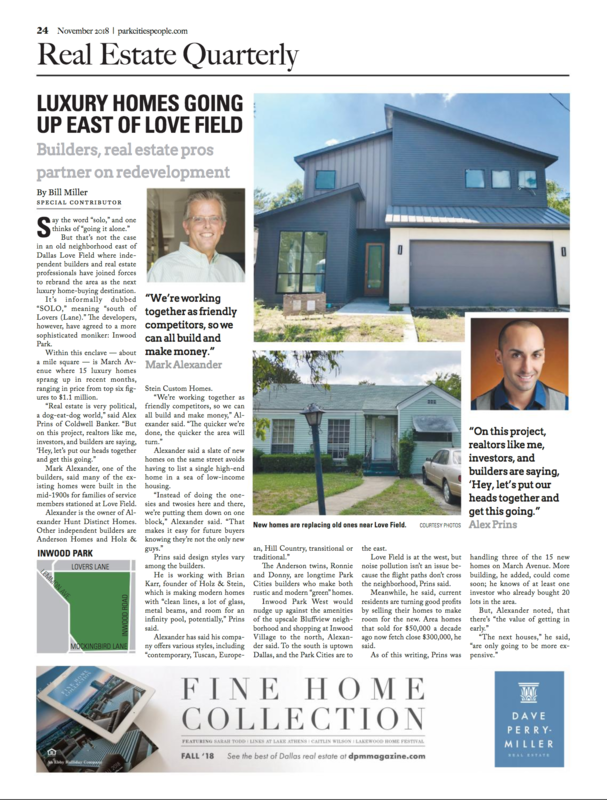 This area is Dallas’ hottest new neighborhood with new construction building at a rapid pace. A location convenient to shops and restaurants along Lovers Lane, Inwood, and Mockingbird. Meet Inwood Park’s neighbor, Inwood Park West. A collection of new luxury homes in one of Dallas’ most desirable communities. Live close to restaurants on Lovers Lane, shopping at Inwood Village, and easy access to Dallas Love Field.